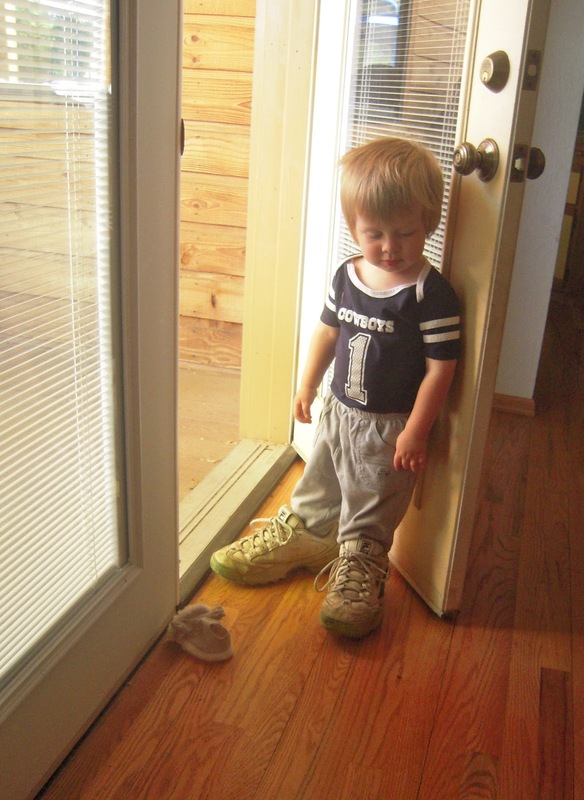 Will found his grandpa’s shoes this afternoon. Looks like he’s got a little growing to do. I love how he is just standing there so casually. What a sweet picture! He's just chillaxin' in grandpas shoes!